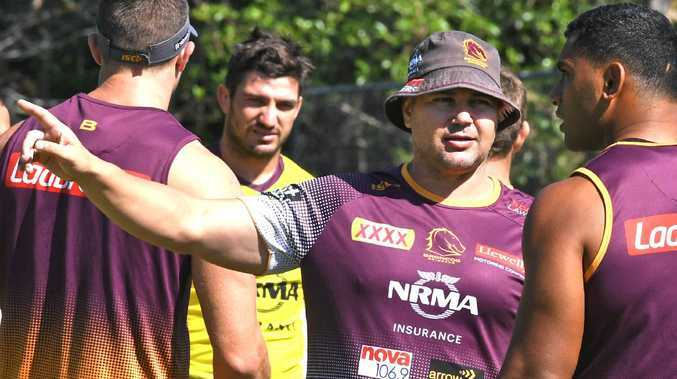 Broncos coach Anthony Seibold has warned his depleted pack to muscle up to the Cowboys' big boppers or risk being blown off the park in tomorrow night's epic Queensland derby. 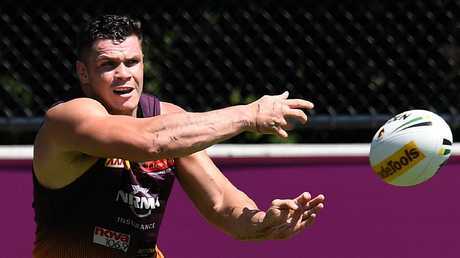 The Broncos are set to receive a boost with strike centre James Roberts to take part in today's captain's run after getting the green light from medical staff on the back injury he suffered against Melbourne last week. Roberts will have one final hit-out this morning and while Seibold has no doubt his fastest player will take the field at right centre, the Broncos coach is more concerned with the efforts of his big men in midfield. Brisbane enter the clash without suspended prop Matt Lodge, leaving their middle rotation light on as they brace for a Cowboys onslaught led by Jason Taumalolo, Matt Scott, Jordan McLean and former Bronco Josh McGuire. 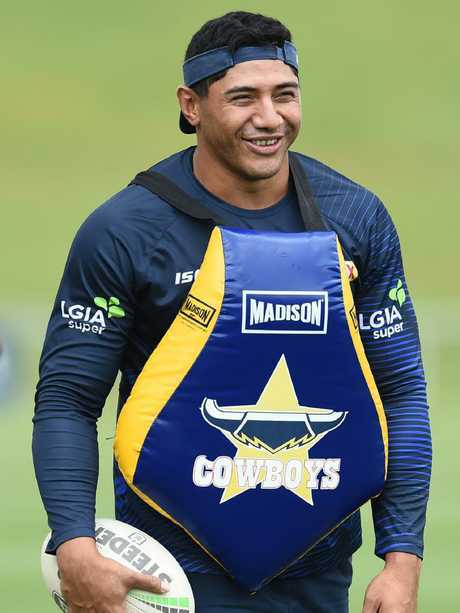 Seibold said the Cowboys' pack is one of the most formidable units he has ever seen and admits his Broncos forwards Tevita Pangai Jr, Joe Ofahengaue, Jaydn Su'A and Matt Gillett must stand up and face a Suncorp mauling. "They are very big and powerful," he said. 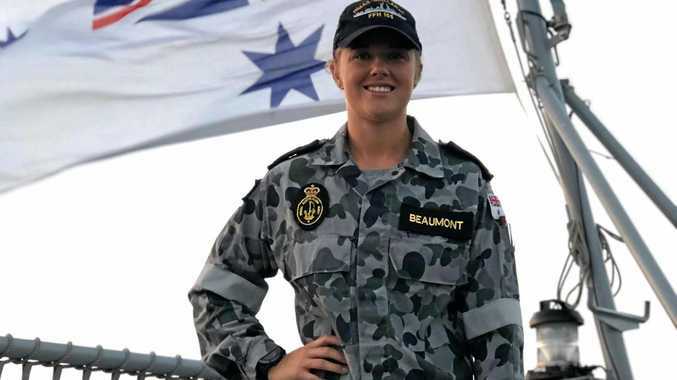 "I have an enormous opinion of Jordan McLean, he was a real standout for the Storm (his former club) and you saw the impact when he came back (from a foot injury) at the end of last season for the Cowboys. "Josh McGuire is a current Kangaroo. Jason Taumalolo was outstanding last week and Matt Scott has been a proven performer over a number of years. Then they have a number of back-rowers in Coen Hess and Gavin Cooper who have played for Queensland so it's a pretty loaded pack. "We need to be good through the middle of the park or it's going to be a tough old day for us. "We've worked hard to try and improve our game this week - our middles have a big job to do." Seibold is banking on an efficient and aggressive Brisbane midfield to lay the platform for a classy backline that will be bolstered by Roberts, who could crack the derby open with his power and speed. "James got through the full training session yesterday, he told me he was OK to go, so I'd expect him to play," he said. "The medical staff have cleared him. "He will tell me the truth (on how he feels). "Until I am told otherwise, James will play. I'm not going to risk him. He had an inflamed facet joint in the end so once the inflammation comes down the medical staff said he's fine to play. "The way I coach, unless guys can train two days before the game, they won't play. "James needed to train yesterday and he did that. If he didn't train yesterday I wouldn't have played him, that's the way I always work." Seibold says it's crucial Brisbane keep the Cowboys pinned deep in their territory after the Broncos badly lost the yardage battle in last week's 22-12 loss to the Storm. "The biggest thing for us is our end of sets," he said. "The difference last week was where the two teams (Brisbane and Melbourne) handed over the footy. "We need a camp mentality to camp down their end, we showed a lot of grit under pressure but we didn't nail our end of sets. "That's not just down to our spine, it's the full team, we don't want to end up on a sideline on tackle five. "The first time we started a set outside our 35-metre area was our 28th set of the game, which was incredible. "That showed how much better the Storm were at handing over the footy."